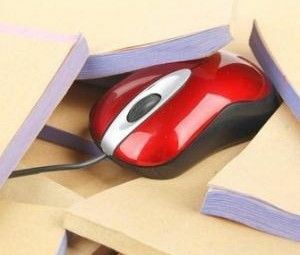 <firstimage=”//static.makeuseof.com/wp-content/uploads/2011/07/firefox_kde_intro.jpg”> In my last article How To Make GNOME Applications Look Like KDE Applications With Oxygen-GTK [Linux] How To Make GNOME Applications Look Like KDE Applications With Oxygen-GTK [Linux] Are you someone who'd like to use KDE but still keep the GNOME apps? 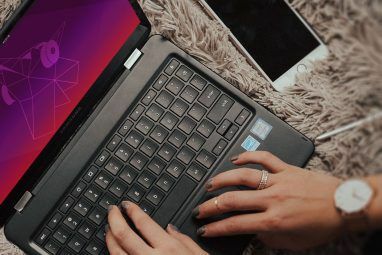 The integration of those GNOME apps (which rely on a theme engine known as GTK) with KDE's appearance (where KDE uses... Read More I covered how to make GTK/GNOME applications follow in line with the way KDE applications look by default in Linux. However, if you’ve been tinkering around a little, you may have noticed that Firefox seems to ignore this, and instead continues to use the uglier replacement. No need to worry though, as there’s an add-on to fix that little problem as well. For an added touch, the add-on also offers many options aside from the default settings to personalize your experience. An add-on called Oxygen KDE (yes, an add-on, not a theme or Persona) helps bring Firefox to look more like it actually fits on your KDE desktop. There isn’t much to talk about beforehand, so let’s get it installed first. I recommend you get the add-on directly from here as you can easily install the latest version without any issues. The same add-on is available on Mozilla’s pages [No Longer Available], but for some reason it is set to only allow Firefox versions under 4.0, as KDE-Look.org does not. So go ahead and install it as you please (note that Firefox officially counts it as two separate add-ons, but they work as a pair), and follow with a restart of Firefox. Upon completion of the restart, you’ll immediately notice that Firefox has changed its appearance, and for the better. Areas other than the title bar now follow the default KDE theme fairly closely (although it’s not perfect). The Firefox button is now larger and with the same orange color as the Windows version. Many of the Firefox icons are now replaced by KDE icons. You can go ahead and enter your Add-ons menu and select the preferences for “Oxygen KDE Options” to access the impressive array of choices at your fingertips. The add-on has six configurable categories, with a good amount of options in each one. The general category offers options such as the theme, back/foward button style (to which you can set the default version as see on Windows), icon theme, and background style. Under the “Tabs and Menu” category, you’ll find settings to configure the tab style, “New tab” button style, menu highlight type, and “AppMenu” button style (the big orange Firefox button). Under the scrollbars category you’ll only be able to choose between different styles of scrollbars. The default fits well with the default KDE theme. In the “Other” category you will find options for the arrows, whether rounded corners should be used, whether the KDE clear button should be displayed inside textboxes, whether to use a triangle tree expander, and whether zoom in/out should be displayed on the add-ons bar (which appears on the bottom of your screen when enabled). With the “Speed Dial” category, you’ll find options to customize your speed dial by changing the style and background image. Finally, under “Advanced”, you can choose to read the regular KDE configuration files for appropriate settings. There are plenty of options to choose from, so go ahead and try them all out. If you don’t like one, switch it out for another. You may want to do this either way because the names of the options may not always be very descriptive. I think the add-on does its job very well with a great variety of customizations. At least, it’s better than the Chrome equivalent in matching KDE’s theme. Who out there’s a KDE user? 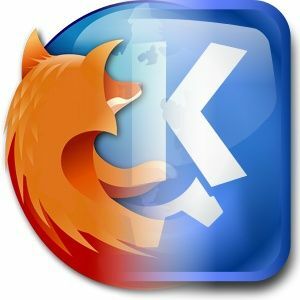 Have you always been using Firefox despite its strange appearance on KDE? If not, what browser did you go to? Let us know in the comments! 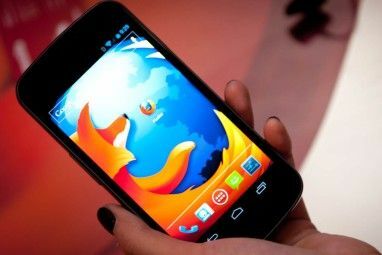 Explore more about: GNOME Shell, KDE, Mozilla Firefox. Honestly, I've been trying to get Firefox to look good with KDE 4 for a long time. First, there was the Oxygen-Molecule theme for Firefox that allowed you to have a pretty seamlessly themed experience, but you had to use a specific color scheme. When oxygen-gtk came along, that was another step closer to making things just right. Now that this theme is out, the only issues left are the menus and tooltips being blocky, but that's something you can't solve without changing XUL itself. So all in all, this is as good as it gets, and I'm quite happy with it. Beforehand, however, I was using Rekonq, since it's the best looking and acting browser with full Qt support. However, it's a bit buggy, and sometimes it just freezes up in a tab for no apparent reason. I don't like the way the floating statusbar looks at all, and the blocky border around the tab previews is also unsettling. So while it's a great browser, it's just not polished enough for me to use it all the time. There was a time when I kept Chrome at a set width and made my own theme for it to match the radial gradient in my Oxygen theme perfectly. I used that for quite some time, but the lack of flexibility eventually got to me and I switched back to Rekonq. I'm considering using Midori, honestly, since it will look more consistent Firefox and act better than Rekonq. Arora isn't bad, either- I might give that a try. Still, thanks for the walkthrough.